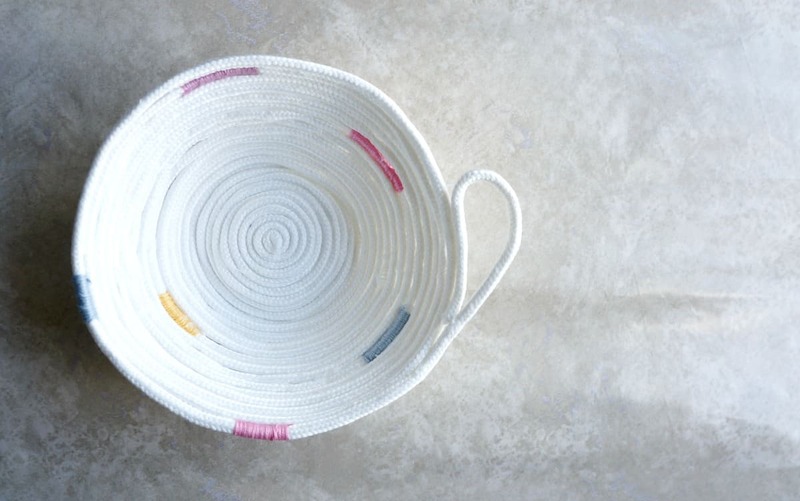 This rope bowl makes a beautiful accessory or a lovely gift. 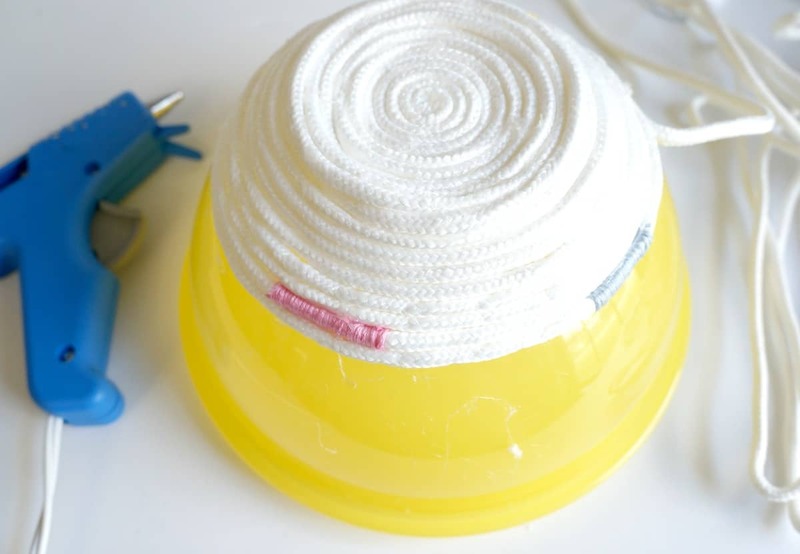 It’s easy to make a one of a kind bowl with just a few simple supplies. I love the look of big rope baskets to corral blankets in a living room. This one from Amazon is a favorite, it would be perfect in a bedroom or next to the couch. I figured I could make a smaller version myself and sure enough with just a little hot glue and rope I made a few decorative bowls for about $1 each. 1. 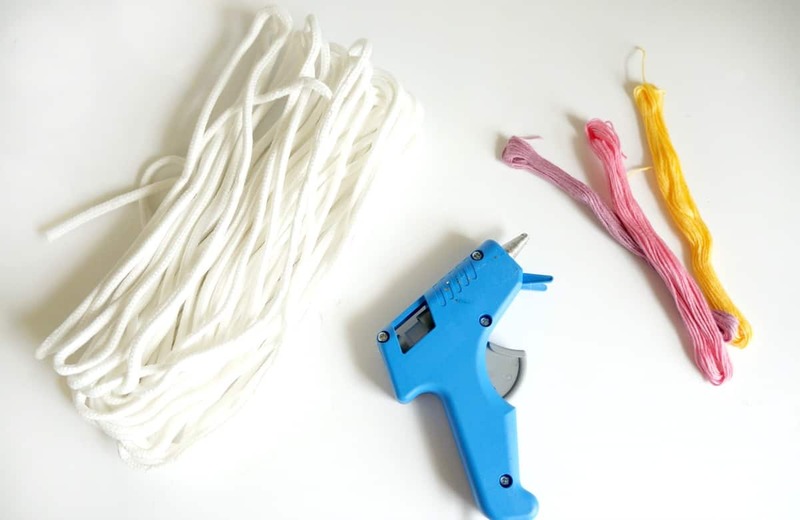 Start by coiling the clothes line tightly using hot glue along the way to secure it. 2. Use a bowl as a form to make the rope bowl. 3. As the sides of the bowl curve, coil the rope so it curves along the bowl. 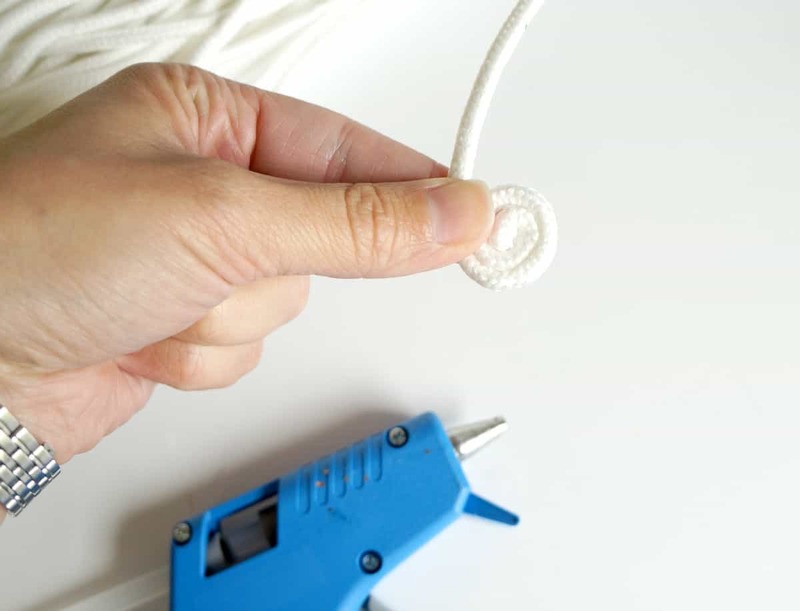 Use hot glue every inch or so to secure the rope. 4. 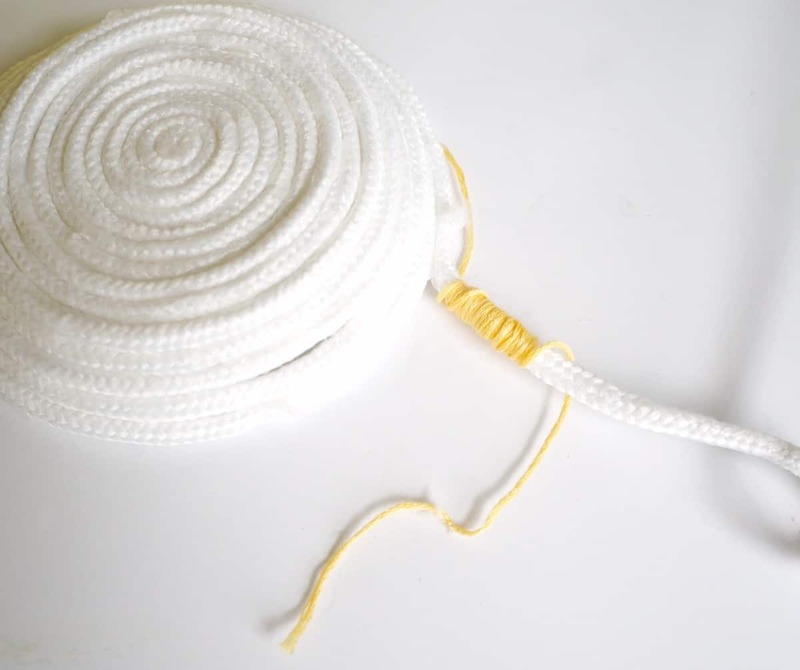 To add color, wrap a length of embroidery floss around the rope then secure with hot glue and continue to coil. When the bowl is finished you can snip off the ends of the embroidery floss. 5. 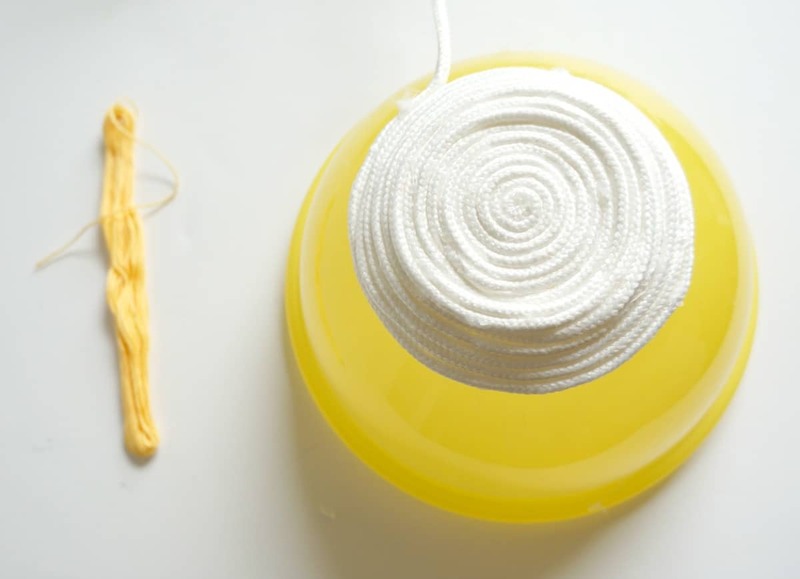 Continue these steps adding embroidery floss and coiling the rope until the bowl is the size you want. 6. 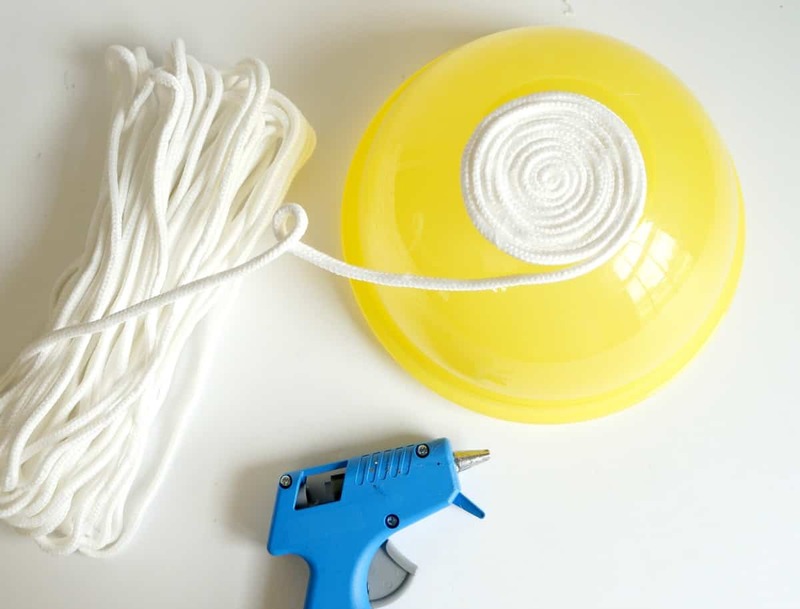 To finish off the bowl, loop the end of the rope around and secure it to the rim of the bowl using hot glue. 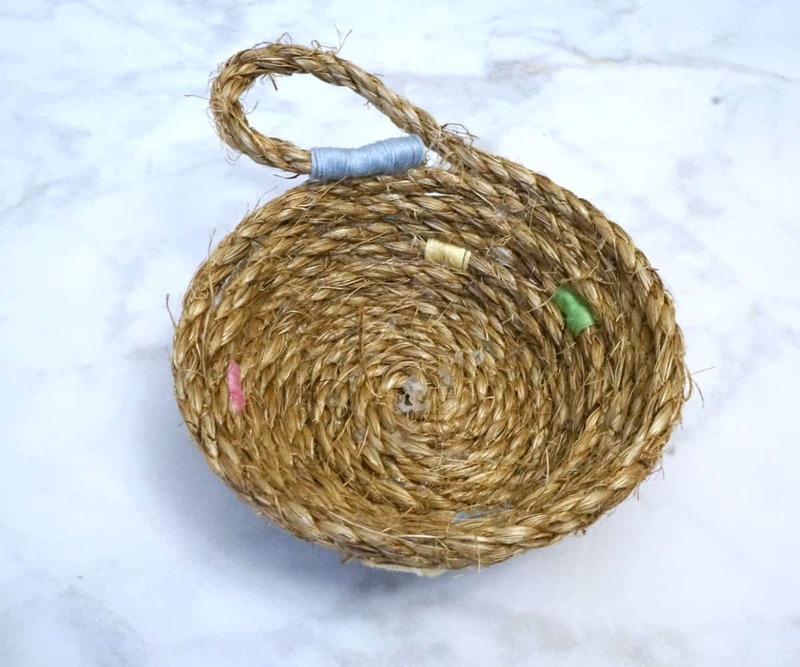 This rope bowl can be made using clothes line or more rustic jute. Check amazon or shop your local home improvement store to find the rope that you like best. 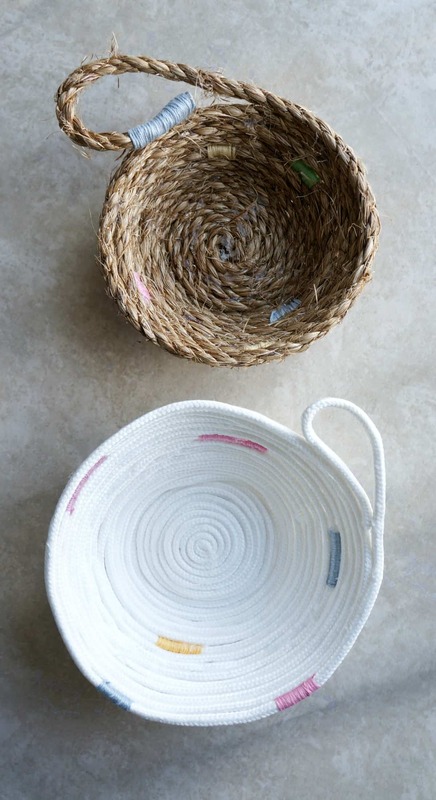 These rope bowls make lovely gifts or can be used around your home for function and decoration. What a clever craft and it is so cute! 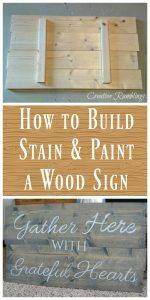 Love this, I may have my daughter make them. Thanks for the great post! Oh my gosh, how perfect! You are so very clever and I know those baskets will surely come in handy. Such a clever idea!! 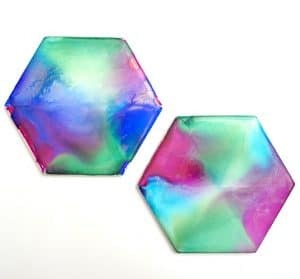 these sure would make lovely gifts!